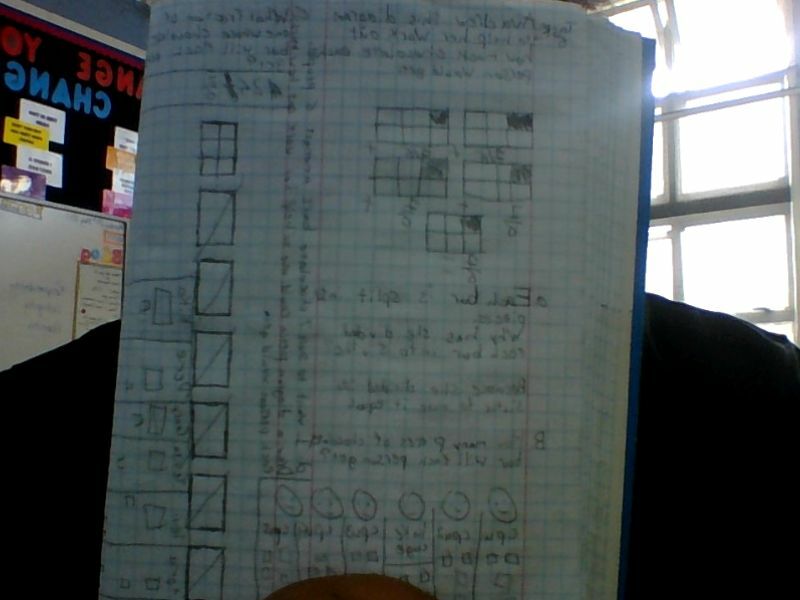 Today I am going to be talking about my maths question #2 and this time I am going to be writing it down and showing an image of the work that I have written just today and talking about myself of How I find that question challenging and interesting. This is an image of my writing that I had just save onto my folder. This was the problem that I have answered to these two Question. #1 Ava drew this diagram to help her work out how much chocolate each person would get. And the #2 is this, ' I want to share 7 chocolate bars amongst 6 people, Draw a diagram petra could use to help her work out how much each person would get. 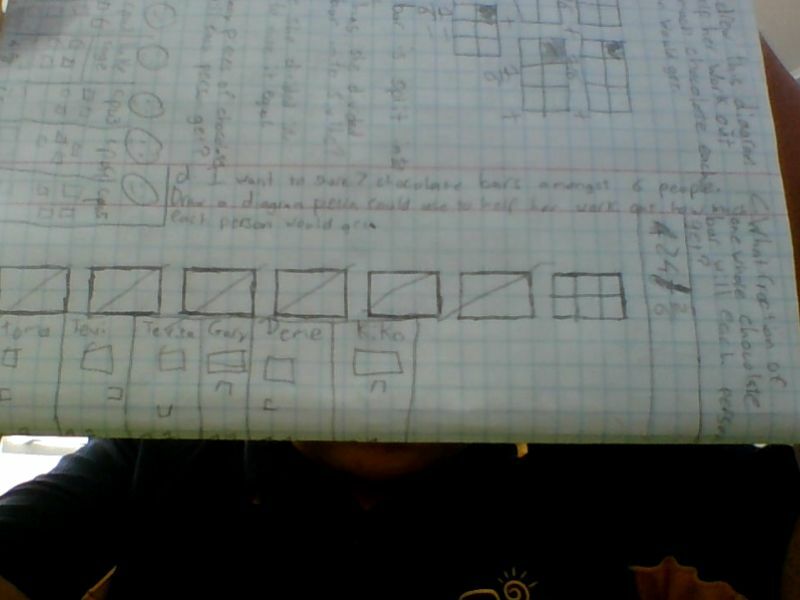 I think these two are to find very difficult because some side questions didn't understand me at first but then I just have to work it out using a diagram to solve the problem. And that just flicked my head. Okay, My next one is the second question. 'I want to share 7 chocolate bars amongst 6 people.' I think this question might be a bit hard because I had done this before but it made me think that I had done this problem before and it also flicked my head and made me feel shocked that I nearly got the question right but I think that I worked it out quite a bit. If I want to work on these two question before my test. I'll have to do some questions with pen and paper so that I can memorise the question but with my own words.